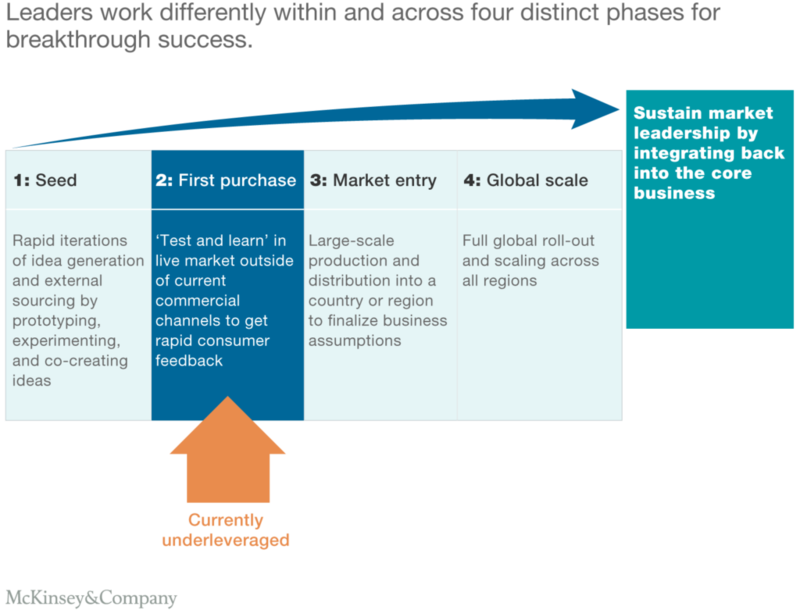 How consumer companies can drive growth at scale with disruptive innovation | Muirbury & Co. I n the era of “fast products” and digital disruption, delivering growth requires putting in place new predictive consumer-growth capabilities, including innovation, based on speed, agility, and scale. Innovation is central to the mission, values, and agenda of most consumer-packaged-goods (CPG) companies. However, in the last several years, incumbent CPGs have struggled to keep pace with start-ups, which have reinvigorated and reinvented categories ranging from ice cream to diapers. Our analysis of the food and beverage market from 2013–17 reveals that the top 25 manufacturers are responsible for 59 percent of sales but only 2 percent of category growth. Conversely, 44 percent of category growth has come from the next 400 manufacturers.1 Our experience in working with large consumer companies suggests that they don’t suffer from a lack of ideas; where they struggle is in knowing where to make bets, moving products quickly to launch, and then nurturing them to scale. 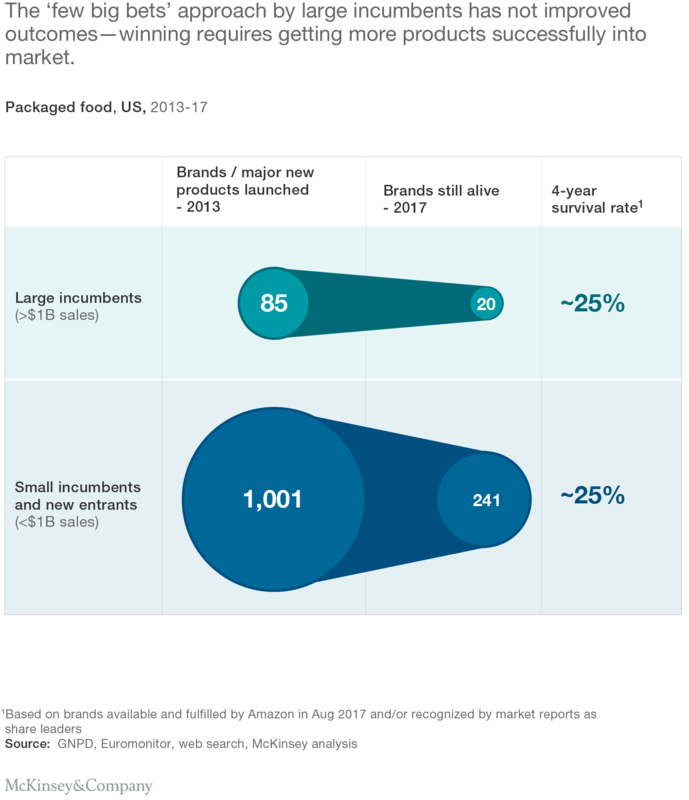 Effectively driving growth through innovation requires CPG companies to evolve many of the assets and capabilities already in place and adopt significantly different and new ways of working. However, our findings suggest that putting all this effort and funding to drive a successful launch has not actually provided the desired results. In packaged food, for example, a review of new brands and disruptive innovations launched in 2013 by large CPG companies found that only 25 percent were still around four years later. This success rate is no better than what start-ups and small CPGs achieved with much smaller budgets and programs.